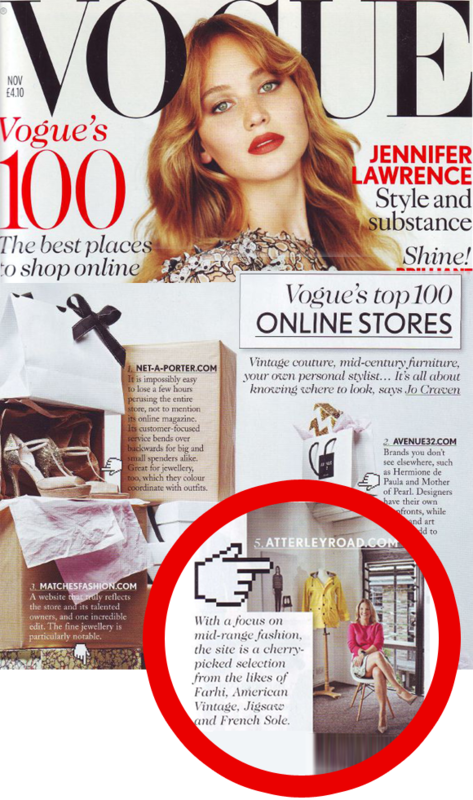 We are very excited that our client Atterley Road – the online fashion shop – has been listed at No. 5 in Vogue’s Top 100 online stores. Screen Pages designed & built the website, which runs on Magento Enterprise and the 90 man day project started in early March and it was launched in July. Founded by ex-Jigsaw buyer Katie Starmer-Smith, Atterley Road offers a carefully curated selection of premium high street brands and independent designers. It currently covers labels such as Jigsaw, American Vintage, Levi’s Made & Crafted, Petit Bateau, Hobbs, 7 for all Mankind, Whistles, Crew Clothing, and Iro. A hearty congratulations to the team at Atterley Road. Join our mailing list to receive the latest e-commerce & Magento news from Screen Pages.